MooseFS is verified formally by researchers from East China Normal University. They used Communicating Sequential Process (CSP) to model and analyze MooseFS. 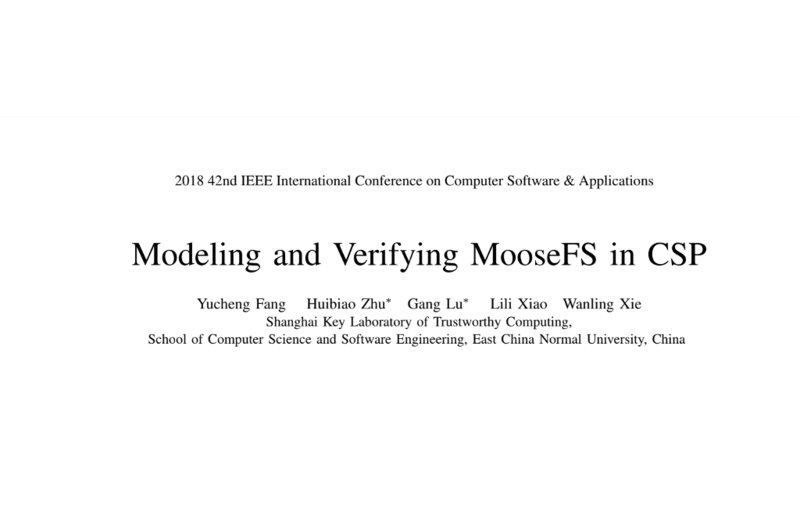 The paper Modelling and Verifying MooseFS in CSP is published in 2018 IEEE 42nd Annual Computer Software and Applications Conference (COMPSAC).